We are very excited to announce that former LSU Baseball Coach Skip Bertman will be speaking at our 2017 I-70 Clinic. Coach Bertman is one of the top speakers in the country and is one of the best college baseball coaches in NCAA history. 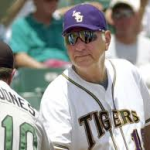 His LSU teams won five College World Series (in 11 appearances) and seven SEC Championships. He was voted National Coach of the Year six times. Coaches- you probably remember this as one of the biggest highlights in CWS history, featuring Skip Bertman’s LSU Tigers. 2016 Clinic a record-breaking success. Thanks coaches! 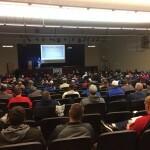 Thanks to everyone who attended the record-setting 2016 I-70 Baseball Coaches Clinic: Over 300 coaches (attending from 10 different states), and 19 vendors. It was a great day to learn more baseball. The 2017 I-70 Coaches Clinic will be over Martin Luther King Jr. weekend and will feature Auburn University head coach Butch Thompson and Texas Rangers hitting coach Anthony Iapoce. More speakers will be added at a later date.